Last year, one of our teachers left us to start a family. 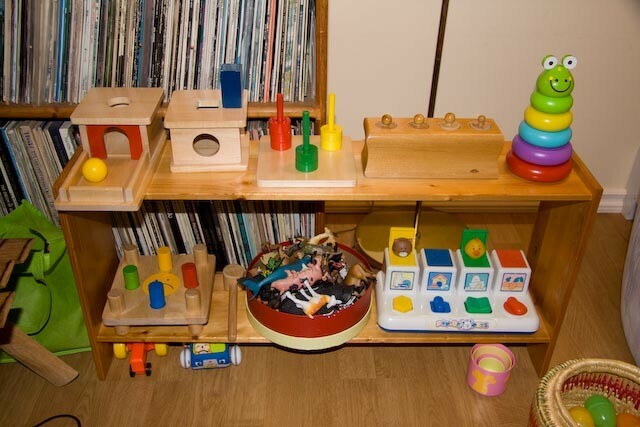 Being a Montessori teacher, she and her partner are committed to raising their children within the philosophy. 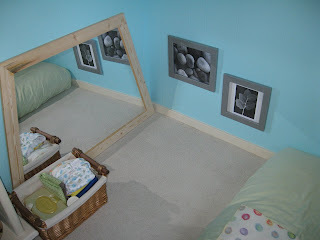 I shared photos of the baby's room with our Parenting Class and someone mentioned that I should post them on the blog. We've all seen pictures of Finn's room, so, with the family's permission, here are some pictures of S.'s room. Enjoy! 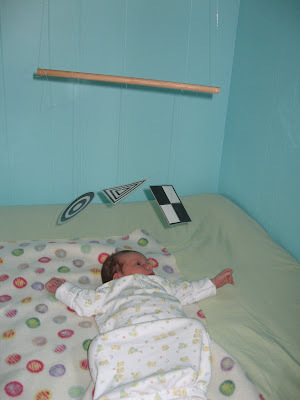 The black and white mobile is develop- mentally appropriate and provides visual stimulation. A mirror attached to the wall beside his bed is so much more interesting than a blank wall. It gives him another view of his room and lets him see his reflection. 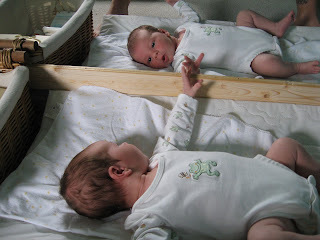 The idea is that the child will begin to connect the movement his body makes with the movements happening in his mirrored reflection. Another view of the room before the mirror was hung. Note the low pictures on the wall. When S. was old enough to lift his head, these gave him another point of interest in the room. Both the mobiles and the pictures are changed frequently. 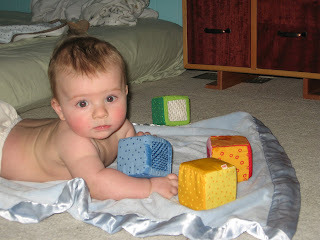 Now he's old enough to grasp his soft blocks and lift his head. In the background is the chest of drawers that his Mom designed and his Dad built just for him. Mom said "I will only keep 3 or 4 choices of shirts, pants, sweaters, in each drawer so that S. can easily choose something to wear and not be overwhelmed with the task of getting dressed." 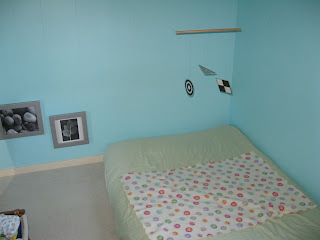 Labels: Bedrooms, montessori bed, S.
Wonderful pictures and an excellent blog! I can't wait to see more and get some ideas for our family! Thanks! Hopefully we'll get photos from children of all different ages. Stay tuned. Its beautiful...it remindes me of when I did my AMI 0-3 training....the room, the mobiles....unfortunatly I couldn't do the in the Montessori way for my children! But I love it!